Let's create a world of plenty for everyone. Jennifer Mulholland and Jeff Shuck are co-leaders of Plenty and your guides for Lumeria. Both have spent a lifetime in the nourishing and sometimes difficult quest to find and express their authentic blueprints. They have created Lumeria’s unique curriculum from their combined education, lived experience and training in health, nutrition, spirituality, human potential, and wellbeing. Exceptional Facilitators. Experience the dance of Plenty's co-leaders as they guide you to integrate your head and heart to access the unique wisdom within. Intuitive and Intellectual. With extensive training, education and experience in spirituality, wellbeing, leadership, business strategy and analytics, Jennifer and Jeff are ideally suited to help you chart your own exploration. Awake and aligned. Jennifer and Jeff have dedicated their lives to waking up human potential, within themselves and within others. Enjoy the gift of discovery through the intentional leadership of two people truly committed to helping you become your best self. Jennifer has lived a life dedicated to channeling and sharing her light. As the third generation female entrepreneur and Reiki healer, Jennifer grew up learning a variety spiritual and healing traditions and how to integrate them into a holistic life. An avid athlete, Jennifer was an All-American lacrosse player and played Division I lacrosse and field hockey in college, an experience that honed her interest in leadership, teamwork and the potential of the body, mind, and spirit. Throughout her study in Exercise and Sport Science, Psychology and Coaching and long after, she heavily supplemented her Western education with a variety of trainings and certifications in complementary and energy medicine, intuitive development, meditation, healing modalities, spiritual ceremonies, and light work. Her leadership experience took her all the way to the C-Level of a Fortune 500 company, where after a time her spiritual reservoir reminded her that despite her business success, something else was yearning to be expressed. That yearning led her to start and grow two companies, Executive Awakenings and Healthy Happy Human BEings, before reuniting with Jeff to co-create what is now Plenty. She’s excited to share her wisdom with you. Jeff's background is in character development and leadership. From the earliest age he identified as an idealist and change-maker. His early introduction to the intelligence all around us was centered more on dogma than spirituality — until he found music and began to understand the truly magical energy all around and within. That deepening understanding culminated in his release of an album of original music and extensive live performances. In his early career he put passion at the forefront as he explored change-making on larger and larger scales, eventually as the CEO and co-owner of a 250-person company. His focus on creating positive impact directed his work towards crafting fundraising and marketing programs that raised hundreds of millions of dollars for national nonprofits. During that period he continued his education at Kellogg School of Management at Northwestern University, earning an MBA while also serving on the boards of several national nonprofits. However, his father’s unexpected death in 2009, and the following period of darkness and depression, opened a door to a more profound introduction to the true meaning of purpose and possibility. That door led to Plenty. He now practices the daily gift of being here now. 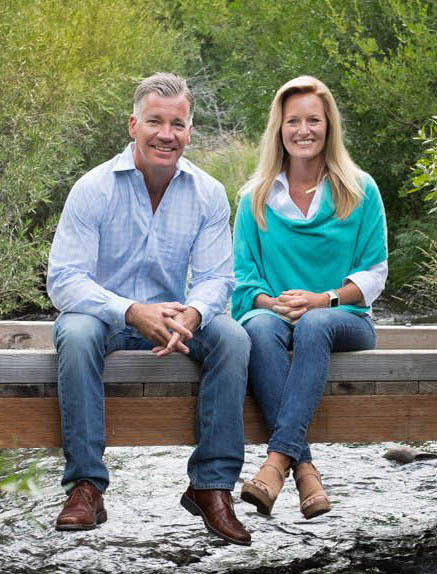 At Plenty, Jennifer and Jeff model true co-leadership, jointly directing the firm and guiding strategy, insight, innovation, and growth for organizations and the people in them. They work with social purpose for-profits and non-profits and idealists who, like you, are wired to make this world a better place. They are lifelong friends and partners dedicated to awakening the consciousness on the planet by integrating the masculine and feminine, head and heart, and intuition and intellect in everything they do. Their vision is a world in which there is plenty for everyone — plenty of health, wholeness, happiness, resources and abundance. They are entrepreneurs, visionaries, strategists, coaches and healers. They travel extensively around the globe speaking, leading and facilitating individual and organizational transformation. 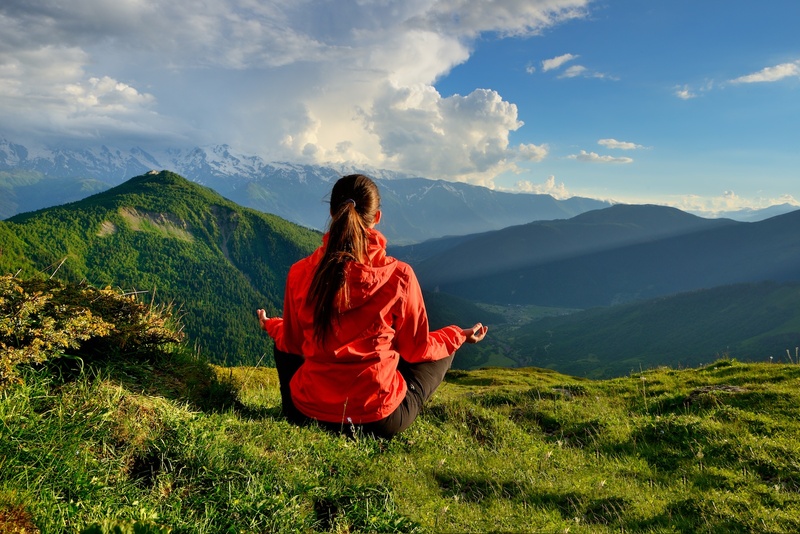 When they are not onsite with clients, they are hosting retreats and workshops at HeartSpace, Plenty’s retreat center, in beautiful Park City, Utah. To learn more about HeartSpace, click here. Interested in hearing what Jen and Jeff have to say? Check out Jennifer and Jeff's latest co-written blog posts.